It’s clear that 4G technology will not be able to keep up with digital data volume and speed requirements of the next decade. That’s why the development of 5G – which is predicted to connect at least 3x more devices and handle 10x larger data volumes than 4G – is in high gear. As new methods and tools supporting the acceleration of electronic data transformation continue to be developed, it’s also clear that PCBs will play a major role in this revolution. With the transition to higher data volume transmission and processing, there will be a growing need for new PCB metrology tools that efficiently control line speed and dimensions. The length of lines connecting components of electronic devices that work at low frequencies is not an issue; in these cases, the voltage on the wire is assumed to be constant at all points at any given time. However, for devices working at high frequencies, the signal cycle time is comparable to the time it takes the signal to travel along the interconnection. In these cases, the lines must be designed and controlled as transmission lines. The speed and attenuation of the line signal depend on line inductance and capacitance, which are determined by the conductor line’s dimension, dielectric layer thickness, and dielectric factor (εr). High-frequency PCB design requires dedicated CAD simulation tools to calculate the required line structure and materials. However, production variations induced by etching, lamination pressure, plating, and other processes lead to line width and line profile shape changes, which in turn, alter line attenuation and impedance. Therefore, the speed and timing of critical lines must be properly controlled throughout production by ensuring that design dimensions fall within defined tolerances. Several factors impact the electrical properties of a PCB transmission line. The impedance characteristic is influenced by line width and shape. Decreasing the width of a trace will lead to higher inductance and lower capacitance, which will significantly increase line impedance per unit of length. Therefore, measuring and controlling the line width is critical when high impedance accuracy is required. At very high frequencies, signal loss and time delays are influenced by line inductance and capacitance, which in turn, are influenced by line dimension. In fine line PCB patterns, variations in the dimensions of the line’s cross section occur due to etching and plating processes as well as differences in the copper density level throughout the panel. Currently, impedance control tolerance is typically ±10%, and only several lines per design are defined as critical. Impedance is measured via impedance control coupons on the panel, which is located out of the active PCB area. A special electrical impedance test probe is used to measure impedance by touching the PCB coupon pads, and the test is conducted on several panels in the final stage. In addition, In-Process Quality Control (IPQC) is a common procedure in which a sampling of panels from each production lot is manually measured for line and space width size. The measurement takes 30-60 seconds per single spot and with many test points per panel it is quite costly. Therefore, only several spots on 1-2 panels only per lot are measured, which is insufficient for mass production of very high frequency boards. Orbotech’s unique 2D metrology utilizes UV illumination and fluorescence imaging of the laminate material, ensuring a highly accurate measurement of the copper line bottom. In addition, the measurement can be implemented on vertical, horizontal and diagonal lines, corners, and circular and rectangular pads. These measurements are then automatically logged and displayed, and a report is sent to the process engineer and central SPC system. 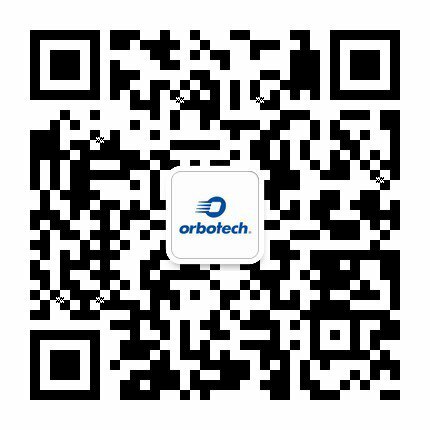 The top and bottom line measurements collected by 2D Metrology on each panel are uploaded into the Orbotech Data Server (ODS), which is part of the Orbotech Smart Factory solution. The measurements are then analyzed, and statistical reports can be extracted according to the PCB manufacturer’s needs. In the near future, we will see a ramp-up in the production volume of PCBs that will support high RF digital mobile electronics featuring fast electronic design and tight impedance-controlled transmission lines. Common methods of impedance control such as coupons or line-dimension measurement of several spots per panel on 1 panel per batch will need to be replaced by new solutions. These automated solutions will measure multiple spots on all panels in a batch more quickly and accurately than ever. 2D Metrology is an automated measurement tool that can be integrated with most Orbotech AOI solutions featuring top and bottom line measurement in an accurate operator-independent measurement mode. The measurement is fast, fully automated and supports high sampling rate and automated reporting tools that meet the needs of PCB manufacturers and OEMs. 2D Metrology has been tested and accepted by leading PCB manufacturers and OEMs worldwide, and is available to most Orbotech AOI users.